I went to chat with the deliciously ditzy Sophie Sulehria on the last bank holiday at BBC3 Counties Radio about how I got into blogging. I think that it can be magic for people, as long as they don’t go into it with pre-concieved ideas of what they are going to get from it. You don’t have to do it the way I have, where it has taken over my life, it can just be a once a week/month quick post. Just start writing about whatever is going on with you and then change as your interests change. 3) Have lots of white space. 4) Always have a WHITE background, not black with white writing. I didn’t realise I could write, or would enjoy it. There are hints right from my child hood that it is ‘what I’m meant to be doing’, but it took a while for me to notice – doh! I’ve been a geek, and a tree-hugger, but now due to my blog I’m an ‘author‘ too. Loads of people I’ve met have found a new career through blogging, not necessarily to become a writer, but maybe a new interest or a career in PR, social media or even radio! It’s free to start, just go to blogger or wordpress.com (my fave). Pick a name, but first make sure no one else has got the same blog name (i.e. google for the ” blog”). 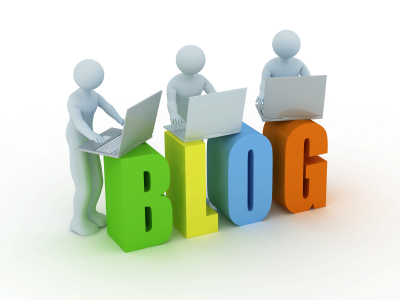 Your blog can be totally honest, partially (my choice) or completely anonymous if you prefer. There can be some downsides of course! 4) One sign of success is getting trolls (doesn’t happen until you are really successful normally). St Albans is the blogging capital of the UK and there are loads of bloggers in Herts, Beds and Bucks, so if you are local you will find lots of people to help you out – just come and make contact with us on twitter and start reading our blogs and commenting and we will reciprocate. It’s like normal relationship, you don’t become best friends straight away, but you do get closer as time goes by; I have some fab friends online now a days, many of whom I have met face to face (I’ve been blogging for 4 years). Another place to find blogs is on awards list. As it would happen I’ve been short listed for a Brilliance in blogging award and could do with a vote, meanwhile you can check out the other fab blogs (but remember it’s me you are voting for!!!). If you are a new blog, or are in Herts, Beds and Bucks and what to meet fellow bloggers, remember to add a comment below. Got any questions about starting a blog? I’m happy to help. I’ve been shortlisted in the Brilliance in Blogging Awards – Please vote for me! Hmmm, I hope they didn’t charge you too much for it @Cat. It kind of does what it needs to, but isn’t very attractive – which is odd, as being a publishing company they must know that they need to grab people’s attentions. Without looking behind the scenes I can’t tell what they’ve done. But I’m assuming that it is a basic blog that they had used a standard template for? The place to start is look in the admin section and slowly work your way through all the sections/options seeing what is there – familiarise yourself with what options are available. But I would go back and demand that they change the background to the writing – it should be white. REMOVE the option on the blog – that is just ASKING to be hacked and dangerous. You need to put in lots more spaces and gaps. Remember to not try to write too much in one blog post – keep them light and just about one aspect. Add photos – they don’t have to be wonderful and you can even take them yourself (I did one of a pair of scissors for a budgeting post!). Add a link to the media post in your about page – people will want that info. Add some fun information to the about page that shows your sense of humour. Is this book mainly for your practice – i.e. to show your credibility and to give something extra to clients or potential clients? (Which is a very valid reason for writing a book). Have you got it on kindle and on amazon? Thanks @becky! I’m thinking of doing another one for businesses, so that I can explain how to use us bloggers too. Thanks @gwen, glad you enjoyed it. The key is to keep it fun and avoid the hard work @rach! Good luck!